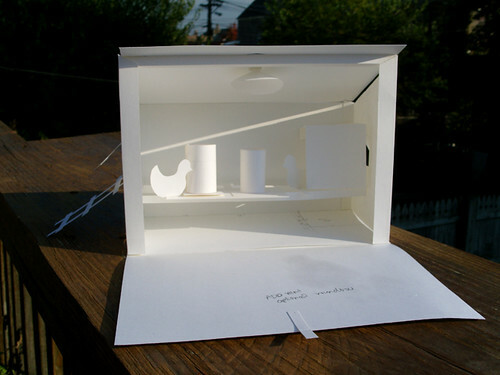 A scale model of a new home for the hens. Floor size will be 2’x4′ and the height will be 2′ tall in back and 4′ tall in front with a small slope forward to the floor for ease of cleaning. I plan to build it approx. 2-3′ off the ground. Unlike our current coop, this will allow them to have food and water indoors as well as ceiling height for a safer heater & light. There’s a side door and ladder for them to have access to the yard and in the summer our yard is safe enough for them to come and go as they please.